I have always thought of myself as a practical gift-giver. That’s because when there’s an occasion to celebrate, I make sure I buy gifts that the recipient will actually use. I don’t buy gifts just because they’re expensive or nice, but I select presents that suit the recipient’s needs. For instance, I usually buy lovely tops or chic accessories for my fashionista sister. She likes to look good all the time, and what I usually give her complements her personality. I’m a happy gift-giver because she appreciates the gifts she gets from me, and that makes me want to give her more. This Christmas, I intend to give her lucky charm earrings. 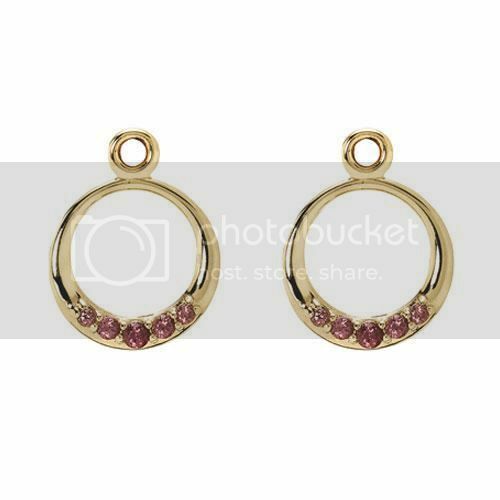 I’m sure she’ll be ecstatic to have a lovely pair of gold rhodolite earrings. I stumbled upon these items while searching the Internet to help a friend who was clueless about where to find Pandora charms. In the process of helping my friend, I was also able to find a fabulous Christmas gift for my dear sister. This entry was posted in Gifts, Lucky Charm Accessories, Practical Gift-giver. Bookmark the permalink. 2 Responses to I’m a Practical Gift-giver!